Is Brain Death the Death of a Human Being? Death and life are not primarily objects of science. Our primary access to the phenomenon of life is self-awareness and the perception of other humans and other living beings. Life is the being of the living (vivere viventibus est esse), says Aristotle. For a living being, not to live means ceasing to exist. Being, however, is never an object of natural science. It is in fact the primum notum of reason and as such secondarily an object of metaphysical reflection. Because life is the being of the living, then, life cannot be defined. According to the classical adage ens et unum convertuntur[i] it holds true for every living organism that it is alive precisely as long as it possesses internal unity. Unlike the unity of atom and molecule, the unity of the living organism is constituted by an anti-entropic process of integration. Death is the end of this integration. With death, the reign of entropy begins — hence, the reign of “destructuring,” of decay. Decomposition can be stopped by means of chemical mummification, but this way of preserving a corpse merely holds its parts together in a purely external, spatial sense. Supporting the process of integration with the help of technical appliances, however, is very different. The organism preserved in this way would in fact die on its own if left unsupported, but since it is kept from dying, it is kept alive, and cannot be declared dead at the same time. In this sense Pope Pius XII declared that human life continues even when its vital functions manifest themselves with the help of artificial processes. already noted by family members. A physician may still be able to discern slight breathing, which escapes a layperson. Besides, the physician could nowadays point out the person whose heart has stopped beating may very well still exist. Due to such sources of error in the perception of death, it is a reasonable traditional rule to let some time elapse between noting these phenomena and the funeral or cremation of the deceased. Similarly, consulting a physician serves the purpose of making sure that a human being is not prematurely declared dead, i.e., non-existent. The 1968 Harvard Medical School declaration[ii] fundamentally changed this correlation between medical science and normal interpersonal perception. Scrutinizing the existence of the symptoms of death as perceived by common sense, science no longer presupposes the “normal” understanding of life and death. It in fact invalidates normal human perception by declaring human beings dead who are still perceived as living. Something quite similar happened once before, in the 17th century, when Cartesian science denied what anyone can see, namely that animals are able to feel pain. These scientists con- ducted the most horrible experiments on animals and claimed that expressions of pain, obvious to anyone, were merely mechanical reactions. measures are indicated always and without exception. When this premise is dropped, the interest in declaring death at an early point ceases to exist. What remains is the second interest, which is self-contradictory, insofar as it requires on the one hand the collection of live organs, for which reason the dying person needs to be kept alive artificially, while on the other hand it requires that the dying person be declared dead, so that the collection of those organs does not have to be considered an act of killing. The fact that a certain hypothesis regarding the death of a human being is in the interest of other people who would benefit from the verification of this hypothesis does not prove its falsity. It should cause us, however, to be extremely critical, and it requires setting the burden of proof for this hypothesis very high. This holds true all the more so when the hypothesis is underhandedly immunized by being turned into a definition. Precisely because nominal definitions are neither true nor false, the question of whose interests they serve gains relevance. The strategy of immunization by definition thus has a counterproductive effect. The legislation of my country allows for a physician’s conflict of interests, insofar as, prior to a transplantation, death has to be determined by physicians who themselves are not involved in the transplantation. Unfortunately, however, transplantation physicians did have their share in drafting the Harvard Commission’s criteria for the de- termination of death. It ought to be in the moral interest of transplantation physicians, regarding their own personal integrity, to have as little to do with the formulation of these criteria as with their application, even if this is not in the professional interest of transplantation medicine — although the professional interest of transplantation medicine, considered in itself, is a highly moral interest, the interest of saving the lives of human beings. It has to be ensured, however, that saving lives does not happen at the expense of the lives of other people. It is a fact that since 1968, the consensus about the new definition of death has not been consolidated; to the contrary, objections against it have increased. Ralf Stoecker states in his 1999 habilitation thesis Der Hirntod (“Brain Death”) that the switch-over from cardiac death to “brain death” is more contested today than thirty years ago. [iii]The arguments against “brain death” are brought forward not only by philosophers, and, especially in my country, by leading jurists, but also by medical scientists, e.g., the American neurologist Alan Shewmon, prominent as a radical advocate of “brain death” still in 1985, until his own medical research convinced him of the opposite. The proponents of the thesis that the loss of all brain functions is identical with the death of the human being divide into two separate subgroups. The first group distinguishes between the life of the human being and human life, i.e., the life of a person. According to this group, the term “human life” should only be used as long as mental processes of a specifically human nature can be discerned. When the organic basis of such processes ceases to exist, the human being is no longer a person, hence his or her organism is at other persons’ disposal to use for their purposes. Consequently, a total loss of all brain functions is not even required at all. Sufficient is the failure of those brain areas that constitute the “hard- ware” for these mental acts. People in persistent vegetative state are thus considered dead as persons. Not only is this position incompatible with the doctrines of most high religions, in particular Judaism and Christianity, but it also contradicts the tenets of today’s medical orthodoxy. A well-known proponent of this position is Australian bioethicist Peter Singer. The second group starts from the assumption that we can only speak of the death of a human being when the human organism as whole has ceased to exist, i.e., when the integration process constituting the unity of the organism has come to an end. According to this second group, this process of integration is terminated with the total loss of all brain functions, since the brain is assumed to be the organ responsible for integration. Hence, according to the views of this group, the death of the brain is the death of the human being. If the underlying hypothesis is correct, the conclusion must be correct, and even the Church would have no reason to defy this conclusion. But obviously the hypothesis is not correct, and those who wish to adhere to the conclusion are consequently forced to draw closer to the unorthodox theory of the first group, i.e., the cortical death hypothesis. impossible for them to become part of this practice themselves. One of these nurses writes: “When you stand right there, and an arm comes up and touches your body or reaches around your body — this is terrifying.” And the fact that the allegedly dead person is usually given anesthesia, so that the arm stays down, does not contribute to putting less trust in one’s own senses. Does one anesthetize corpses? This is merely a suppression of vegetative responses, the argument goes. Yet a body capable of vegetative responses requiring complicated coordination of muscle activity is obviously not in that state of disintegration which would entitle us to say that it is not alive, i.e., that it does not exist anymore. Here the reasons of common sense converge with those advanced by medical science. Thus it was already pointed out by Dr. Paul Byrne in 1979 that it is unjustified to equate the irreversible loss of all brain functions with “brain death,” i.e., with the end of the existence of the brain. [v] We do not equate the cessation of heartbeat with the destruction of the heart, because we know today that in some cases this loss of function is reversible. But it is only reversible because the heart precisely does not cease to exist when it ceases to function. And only because the cessation of breathing was not equated with the “death of the lung” did it became possible to utilize mechanical ventilators to restart those functions. Based on considerations of this kind, Dr. Peter Safar and others began to work on the resuscitation of brain function in brains considered dead by standard criteria. The reply by some that the loss of function in these “resuscitated” brains had not yet become irreversible makes for a circular argument. Irreversibility is obviously not an empirical criterion, since it can always be determined only retrospectively. It is precisely because we assume that the brain still exists that we try to resuscitate its function. essay, which of course contains neither empirical evidence nor theoretical arguments, only the theses. (1) When Shewmon presented his research results at the Third International Symposium on Coma and Death in 2000[x] which was attended largely by neurologists and bioethicists, there was surprisingly broad acceptance. What ensued was a shift of the domain of the debate from the medical to the philosophical arena, with the defenders of “brain death” appealing exclusively to consciousness- based concepts of personhood rather than the previously standard medical rationale of bodily integrity. was dedicated exclusively to the debate with Alan Shewmon. [xi] In this article, Dr. Shewmon’s empirical research results are not disputed, nor is any reference made to literature which would justify such doubts. From this I conclude that indeed there is no such literature. All the more interesting is Furton’s argument itself, which defends the equation of “brain death” with death against Shewmon. I will conclude my own remarks with a critical report about this article, beginning with a summary. Furton’s primarily philosophical arguments in favor of “brain death” convinced me more than anything else of the opposite of his position. The reason is that Furton is only able to sustain his thesis of “brain death” as the death of the human being by distinguishing be- tween the death of the human being as a person and the death of the human being as a living being. He writes: “Although the difference between the death of the person and the decay of the body had long been obvious, it is only in our time that the difference between the life of the person and the life of the body has become apparent.”[xii] This, now, is exactly the position of Peter Singer, and it is incompatible with the belief of most religions, and certainly with that of Christianity. If Church authorities cautiously accepted the premise of “brain death,” this was always done under the premise that the brain is responsible for somatic integration, the loss of the brain functions thus being identical with the death of the organism. It is beyond the scope of religious authority to judge the validity of this premise. When the premise becomes doubtful, the conclusion ceases to apply. Furton would like to hold on to the conclusion, even though he abandons the premise under the impression of Alan Shewmon’s arguments. His appeal to papal authority is, therefore, unjustified, and it is surprising that he makes such excessive use of the argument from authority in his debate with Shewmon. Just because the Pope bases his own equally hypothetical conclusion on a scientific hypothesis does not mean that this hypothesis is thereby withdrawn from further scientific discourse. Furton himself concedes in his essay that “the determination of death does not fall under the expertise of the Church, but belongs to the physician who is trained in this field.”[xiii] (I would like to render this more precisely: the physician is qualified to determine the existence of pre- defined criteria for death. The discourse about these criteria themselves falls into the domain of philosophers and philosophizing theologians after they have received the necessary empirical information from the medical profession.) Furton bases his argument on the Aristotelian- Thomistic doctrine of the soul in connection with the teaching of the Church, dogmatized after the Council of Vienne 1311-1312, according to which the human soul is only one, from which follows that the anima intellectiva is at the same time the forma corporis. [xiv] From this doctrine, however, Furton draws a conclusion which is diametrically opposed to the intention of St. Thomas as well as the Council of Vienne. drastically different from Aristotle, for whom nous, reason, is not part of the human soul, but is thyrathen, entering the human being from outside. St. Thomas, by the way, excludes Jesus Christ explicitly from successive animation: that the Incarnation occurs at the moment of his conception presupposes that Jesus’ soul must have been a human soul in the full sense from the very beginning. 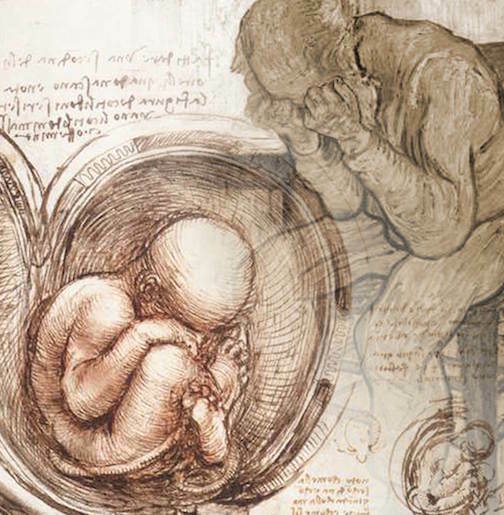 The Church, herein following science, has given up the idea of successive animation long ago and regards not only Jesus, but any human being as a person from the moment of conception, with his or her soul being an anima intellectiva — even though the newborn infant is not yet capable of intellectual acts. This inability is due to the lack of sufficiently developed somatic “infrastructure.” Similarly, a pianist “cannot” play the piano when there is no piano available. Just as the pianist nonetheless remains a pianist, the soul of the human being is an anima intellectiva even when it is factually unable to think. The being of man is not thinking but living: vivere viventibus est esse. Furton’s way of thinking is radically nominalistic. For him, a personal soul exists only as long as an individual is capable of specifically personal acts. For Furton, then, the reality of the human soul is not found in allowing man to exist as a living being; the soul is not the forma corporis but the form of the brain and only indirectly the form of the body. “The soul is . . . what enlivens a material organ, namely the brain, and from there enlivens the rest of the human body.”[xv] (This view was rejected already in 1959 by the Würzburg-based neurologist Prof. Joachim Gerlach, for whom the error in the equation of “brain death” and the death of the individual consists in “regarding the brain as the seat of the soul.” Similarly, Paul Byrne wrote already in 1979: “‘Brain function’ is so defined as to take the place of the immaterial principle or soul of man.”)[xvi] Furton identifies that which Thomas calls intellectus with factual intellectual consciousness. He does not conclude from the obvious continued existence of a living human organ- ism that the personal soul, which is the form of the human body, is still alive, but contrariwise: if a human being is not capable of intellectual acts anymore, the soul has left him and he is, as a person, dead. The fact that the organism as a whole is obviously still living doesn’t play any role. With- out actual brain function, the human organism is nothing other than a severed organ, which also still shows expression of life. This position is consequent to, and largely coincides with, that of Peter Singer and Derek Parfit, for whom persons exist only as long as they are capable of personal acts: hence sleeping people, e.g., are not persons. disappeared, we can thus only conclude: as long as the body of the human being is not dead, the personal soul is also still present. Only the second conclusion is compatible with Catholic doctrine as well as the tradition of European philosophy. Furton’s adventurous conclusion, to declare a human being dead when his or her specifically human attributes do not manifest themselves anymore, is contrary to all immediate perception. Even Peter Singer and Derek Parfit are still closer to the phenomena when they do declare the person expired, but do not already for this reason con- sider the human being dead. I conclude with the words of three German jurists who wrote after immersing themselves in the medical literature: “To be correct, the ‘brain death’ criterion is only suited to prove the irreversibility of the process of dying and to thus set an end to the physician’s duty of treatment as an attempt to delay death. In this sense of a treatment limitation, the ‘brain death’ criterion is nowadays likely to find general agreement” (Prof. Dr. Ralph Weber, Rostock). “The brain dead patient is a dying human being, still living in the sense of the Basic Constitutional Law [of the Federal Republic of Germany, ESSJ Art 2, II, 1 99]. There is no permissible way to justify under constitutional law why the failure of the brain would end human life in the sense of the Basic Constitutional Law. Accordingly, brain dead patients have to be correctly regarded as dying, hence living people in the state of irreversible brain failure” (Prof. Dr. Wolfram Höfeing, Bonn). “It is impossible to adhere to the concept of ‘brain death’ any further. . . There is no dogmatic return to the days before the challenges to the concept of ‘brain death’” (Dr. Stephan Rixen, Berlin). Robert Spaemann is a preeminent German philosopher. [i] “Being and unity are convertible”. [ii] “A Definition of Irreversible Coma. Report of the Ad Hoc Commit- tee of the Harvard Medical School to Examine the Definition of Brain Death,” Journal of the American Medical Association 205 (1968): 337-340. [iii] R. Stoecker, Der Hirntod. Ein medizinethisches Problem und seine moralphilosophische Transformation (Freiburg/München: Verlag Karl Alber, 1999), p. 37. [v] Paul A. Byrne, Sean O’Reilly, Paul M. Quay, “Brain Death — An Opposing Viewpoint,” Journal of the American Medical Association 242 (1979): 1985-1990. [vi] Paul A. Byrne and Walt F. Weaver, “‘Brain Death’ Is Not Death,” Fourth International Symposium on Coma and Death, Havana, Cuba, March 9-12, 2004. [vii] A. Shewmon, “The Brain and Somatic Integration: Insights into the Standard Biological Rationale for Equating ‘Brain Death’ with Death,” Journal of Medicine and Philosophy 26 (2001): 457-478. [x] D. A. Shewmon, “Seeing Is Believing: Videos of Life 13 Years after ‘Brain Death,’ and Consciousness Despite Congenital Absence of Cortex,” Third International Symposium on Coma and Death, Havana, Cuba, February 22-25, 2000. [xi] . E. J. Furton, “Brain Death, the Soul and Organic Life,” National Catholic Bioethics Quarterly 2, no. 3 (Autumn 2002): 455-470. [xviii] Pius XII, To an International Congress of Anesthesiologists, Nov. 24, 1957, in The Pope Speaks 4, no. 4 (1958): 393-398.